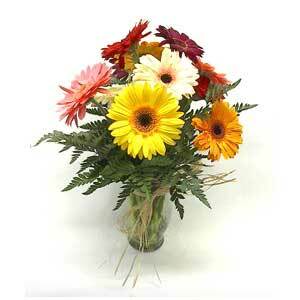 Make a bold and brilliant statement with these vibrant- colored gerbera daisies arranged in the vase. One of our most requested flowers! Copyright © Greenfield Flower Shop Inc.